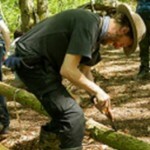 The FSA has agreed to extend the deadline for trained Forest School practitioners with Agored qualifications wishing to join the FSA recognised Forest School Provider scheme (currently on hold). The new deadline is end of March 2020. This represents the point at which we hope and expect there to be an agreement in place concerning the Agored qualifications, which are coming up for their 5 year review.